For some unknown reason, the Web page with the Obituaries Index says it only covers 1880-1904, but the lists of names do in fact include entries for deaths up to the 1930s. Unfortunately the link to L-M surnames was not working when I tried it. The Web site says that the obituaries "contain very full descriptions of the life and work of the individual, and often list names of parents, and occasionally wives and children. Although the majority of them are British born, there are those born in Australia, New Zealand, Canada and India, as well as other distant places. Many of them worked and died in these countries and left family there." The 'Family History Through the Alphabet' series is now up to the letter 'I'. In-letters. Queensland State Archives' Brief Guide to Colonial Secretary's Correspondence 1859-1903 explains how to search the series called In-letters (letters received). This can be slow and frustrating but it is often very rewarding. About eight hundred names from in-letters are on my Web site. Thousands more will be added when I have time! The emphasis is on items of interest for family history, such as correspondence about women, children, certificates, naturalisations, requests for assistance, missing friends, orphans, inmates of mental and benevolent asylums, etc. Postscript: Registers (and indexes to the registers) for 1859-1896 have been digitised and are on the Queensland State Archives Web site (series ID 11936). Invalid Pensions. I have created a partial index to Police Department correspondence 1908-1952 that mentions hundreds of invalid pensioners and old age pensioners. Some lived in New South Wales and Victoria but most were in Queensland. 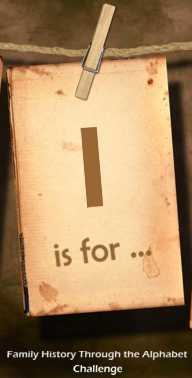 With this post for 'H' I am at last up to date with the 'Family History Through the Alphabet' challenge. Helen Harris's Indexes. Helen Harris has compiled indexes to many fascinating sources. Although the emphasis is on Victoria (Australia), there are references to many interstate and overseas residents. Indexes on Helen's Web site are Missing People; Wife and Child Deserters; Infant Life Protection Act Indexes; Criminal and Other Case Files; Victoria Police; Employment Applications; Women Lecturers in Victoria; Theatrical, Literary and Artistic Lives and Lies. I was eight weeks late starting the the 'Family History Through the Alphabet' challenge, but I am determined to catch up! Here is my contribution to the letter 'G'. Gypsies. The Romany and Traveller Family History Society is dedicated to researching British Romany Gypsy, Traveller and Fairground ancestors. GENUKI. The huge GENUKI Web site is the best starting point for genealogy in the UK and Ireland. I am now up to 'E' in the 'Family History Through the Alphabet' challenge. Evidence. Evidence Explained: Citing History Sources from Artifacts to Cyberspace, by Elizabeth Shown Mills, is the definitive guide to the citation and analysis of historical sources, especially original and unusual items used by family historians. Elizabeth Shown Mills also has some very helpful articles on her Web site. They include 'Working with Historical Evidence', and various titles under the heading 'Cluster Research (FAN Principle)'. Emigrant Siblings. 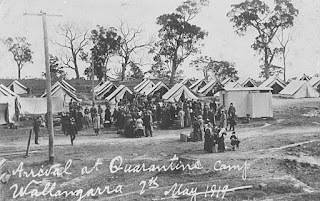 Did your ancestor have a brother or sister who emigrated to Australia? Death certificates in our eastern States are extremely informative, and may give details that are not readily available in the UK or Ireland.